Available to travel to Mumbai in March 2018 and appearat Tradfest in Edinburgh (dates are 26 April to 6 May 2018). Please note thatthe details of this schedule are still being finalised. Have a strong commitment to collaborative projects,and are able to demonstrate an open approach to working with other artists. Able to demonstrate an impressive track record in composition and performance (music) or devising and performance (storytelling). 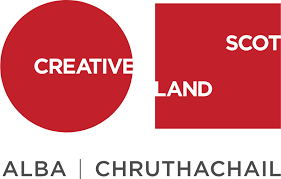 The two chosen participants from Scotland will travel to Mumbai in March 2018 towork on a new piece with two artists from India at G5A in Mumbai. The four artists will collaborate on the new work and perform at G5A before returninghome. The two Indian artists will travel to Scotland in April 2018 for aperformance with their two Scottish counterparts at TradFest in Edinburgh.There will also be performances in the community in Mumbai and in Edinburgh. Each artist will receive a fee of £1,025 for the project. Flights, accommodation and per diems will be paid for the time overseas. A budget for materials will alsobe available. The process will be documented by a filmmaker in Mumbai. It is hoped that the new work will then tour initially in Scotland and India, andthen further afield. The closing date is 10 December 2017. A New Conversation is supported by the British Council.